When we first started planning an asteroid sample-return mission for the NASA New Frontiers Program, we looked to the Canadian Space Agency (CSA) to provide the OLA instrument for topographic mapping and ranging to the asteroid. We also sought Co-Investigators from Canada to help us study the geology of our target asteroid, 101955 Bennu. The selection of OLA was based on the positive collaboration between the University of Arizona, NASA, and CSA on the Phoenix Mars Lander mission. 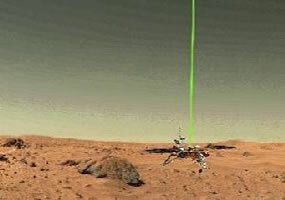 In particular, CSA provided the Meteorological Station for Phoenix, which included a lidar instrument to measure the size and location of particles in the Martian atmosphere. The CSA-provided MET instrument measured particles in the Martian atmosphere on board the Phoenix lander. The Canadian Space Agency received final approved to develop OLA on June 12, 2014. OLA is an advanced lidar (Light Detection and Ranging) system that is being designed, built, and tested by MacDonald, Dettwiler and Associates (MDA). OLA will be turned on when the OSIRIS-REx spacecraft starts the Preliminary Survey of Bennu in late 2018. OLA will map the entire surface of Bennu, which has an area of 0.78 square kilometers (0.30 square miles or almost 200 acres). These measurements will give us an accurate 3-dimensional model of the asteroid. This model will help our team obtain fundamental and unprecedented information on the asteroid’s shape, topography, surface processes, and evolution. These data will provide critical information for deciding where to safely obtain a sample for return to Earth in 2023. 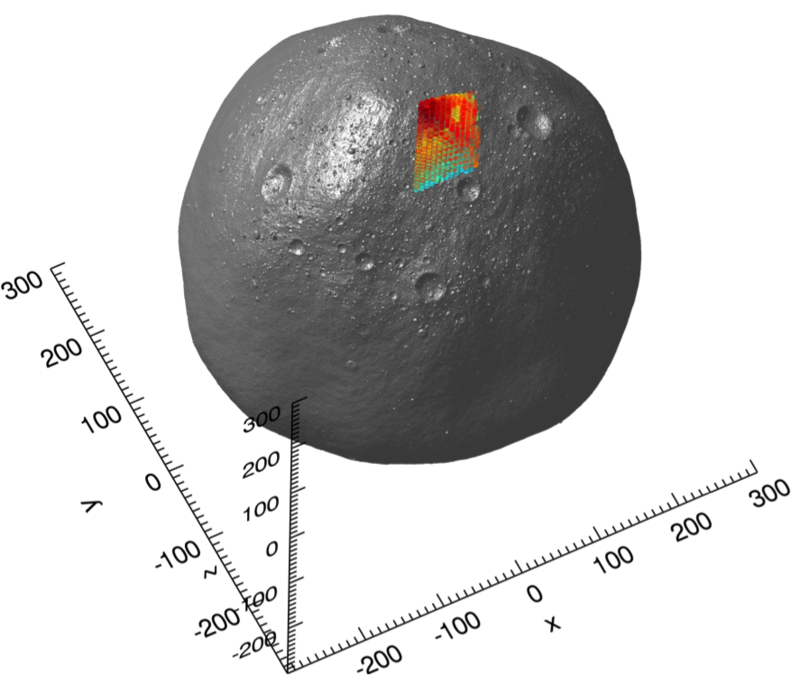 OLA will provide topographic maps of potential sample sites on Bennu. The Canadian science team brings a range of scientific expertise for studying Bennu’s geology – how Bennu formed and how its surface and shape evolved over the past 4.5 billion years of Solar System history. Alan Hildebrand is the PI for the CSA team on OSIRIS-REx. Alan specializes in studying the physical properties of asteroids and pieces of asteroids – space rocks that enter the Earth’s atmosphere, heat up as fireballs, and explode, showering meteorites over the ground. He began his career as a University of Arizona planetary sciences graduate student, where he established that the Chicxulub crater beneath Mexico’s Yucatan Peninsula is a prehistoric impact crater, one of the largest confirmed impact crater on Earth. Currently, Alan teaches geoscience and coordinates the Canadian Fireball Reporting Centre at the University of Calgary. He is principal investigator for the Canadian Space Agency’s Near-Earth Object Space Surveillance Satellite, a project to find and track near-Earth asteroids and comets from space, especially ones that are difficult to see from Earth because they are positioned towards the sun. For the past several years, Alan and his graduate students have been measuring physical properties such as elasticity and strength in carbonaceous meteorites to better estimate what Bennu might be like. As a result, one of his team’s contributions to OSIRIS-REx is making simulants of the kind of material that TAGSAM – our sample-collection mechanism – may encounter at the asteroid’s surface. Alan’s lab designed and manufactured a simulant of Bennu’s surface for use during TAGSAM development and capabilities testing, based on the material properties of the Tagish Lake meteorite. In return for their contributions, CSA will receive 4% of the returned sample. Alan and the CSA team will analyze Canada’s part of the sample for such properties as bulk and grain density, elasticity, dielectric properties (or how the sample interacts with electromagnetic radiation), sheer, and tensile strength. Mike Daly is the Instrument Scientist for OLA. An expert in lidar technology, Mike was lead engineer for the MET instrument on the Phoenix Mission. When we first started developing the OSIRIS-REx proposal, we contacted Mike, who was then an employee of MDA, about providing a science lidar for OSIRIS-REx. Mike, who since has joined York University in Toronto, worked with Olivier Barnouin of the Johns Hopkins University Applied Physics Laboratory, altimetry science lead for OSIRIS-REx, in developing the science requirements for OLA. As instrument scientist for OLA, Mike is responsible for developing the science requirements for the instrument, ensuring that OLA meets those requirements, and working with the MDA team in building the instrument. Mike is also responsible for developing software that will process raw data returned from OLA to produce data products for sample-site selection and geologic interpretation. OLA will be important for spacecraft navigation. It will provide real distance measurements to the surface of Bennu, which will speed up the production of shape models used to help guide the spacecraft’s descent to the surface of the asteroid. OSIRIS-REx will rely on OLA for measurements to make a highly accurate three-dimensional model of the shape of Bennu. The team will use these data to decide where to safely take a sample – the primary goal for the entire OSIRIS-REx mission. *** Catherine L. Johnson, University of British Columbia, Vancouver, and Planetary Science Institute, Tucson, OSIRIS-REx Asteroid Scientist. Catherine Johnson studies the geology of Bennu for OSIRIS-REx. Catherine’s research focuses on understanding surface and satellite observations to probe the structure and evolution of planetary interiors. She’s known for her research on planetary magnetic and gravity fields and the interior structure of the Earth, Moon, Mars, and Mercury. A participating scientist on the MESSENGER mission to Mercury, Catherine brings important data processing expertise to OSIRIS-REx. She is a professor of geophysics at the University of British Columbia, a senior scientist at the Planetary Science Institute in Tucson, and was recently named a 2013 American Geophysical Union Fellow. One problem is our navigators need to know Bennu’s mass to design the orbit insertion maneuver and get the spacecraft successfully into orbit around the asteroid. They won’t have a good idea of that mass until the spacecraft flies close enough to Bennu so we can measure changes in spacecraft trajectory. Until then, Catherine is part of the effort to come up with a range of plausible estimates of Bennu’s mass. Estimates are based on different kinds of astronomical observations, what is known about other asteroids in the asteroid belt, and what is known from studies of meteorites believed to be similar in composition to Bennu. Unlike the planets, which are so massive that interior heat and pressures dominate their subsequent evolution, Bennu is so small that its evolution has been mostly determined by its orbit and internal structure. As the data come in from Bennu, Catherine will analyze them to understand Bennu’s composition and its interior structure, trying to understand especially how it was put together and what’s holding it together, and whether or not, just based on its interior structure, we can actually say something about its long-term evolution. In particular, is there any evidence that it is made up of different (geological) regions? If Bennu was hit by other asteroids – how is the energy from those impacts transmitted through the asteroid? Would there be enough seismic shaking from impacts to move boulders around on the surface? Catherine will put all of the data together to determine how this asteroid was formed and how it evolved. ***Rebecca Ghent, University of Toronto, and Planetary Science Institute, Tucson. OSIRIS-REx Asteroid Scientist. Rebecca Ghent studies the electrical properties of asteroidal material. Rebecca began working on her doctorate in structural geology shortly after the end of the Magellan mission to Venus 20 years ago. She ended up completing her thesis on Venus geology, and since has been studying geological processes on the terrestrial planets and the Moon. She is a faculty member at the University of Toronto, and she is a senior scientist with the Planetary Science Institute in Tucson. Currently, Rebecca’s work focuses on two major research themes. One has to do with understanding how lunar regolith – the surface layers of dust, rubble and rock that blanket the Moon – forms and evolves, and what impact cratering contributes to those processes. The other is for OSIRIS-REx. Rebecca is pioneering a research effort to discover the electrical properties of the dust, rubble, and rock covering Bennu. Rebecca and her students are performing laboratory experiments to test the electrical properties of a range of minerals and meteorite samples – our best analogs for Bennu. We depend on ground-based radar observations to characterize asteroid shape and spin, and whether or not asteroids are covered with regolith. How radar energy interacts with a body completely depends on its electrical properties, so we could interpret our remote radar observations much better if we understood electrical properties. Carbonaceous bodies like Bennu have unique electrical properties that may have important implications for spacecraft operations. We don’t really know if electrical fields from the spacecraft could actually induce any electric fields in the asteroid materials, but they might. Rebecca’s work provides important insight into these processes. *** Edward Cloutis, University of Winnipeg, Manitoba. OSIRIS-REx Asteroid Scientist. Ed Cloutis studies the spectral properties of asteroids and meteorites. Ed is a professor and director of the Centre of Forest Interdisciplinary Research at the University of Winnipeg. He is a geologist who specializes in spectroscopy. In particular, Ed will use data from OVIRS to study how materials on Bennu’s surface absorb and emit light to identify the elements and compounds that compose them. Ed and others in the mission’s Spectral Analysis Working Group are developing software tools to automate data analysis operations. With the right software, we will be able to more efficiently identify areas where OSIRIS-REx can take the most geologically interesting sample, hopefully one rich in organic compounds that provide clues to the origin of life. Ed is also conducting experiments in his laboratory to understand just how truly primitive Bennu is. Might Bennu have had any close encounters with the sun that heated its surface enough to alter its organic molecules? Cloutis and his students have been baking samples of primitive meteorites rich in organics – samples that might be similar to Bennu – then watching what happens to the spectral properties of these meteorites. Finding a good match between the experiments and what is found at Bennu could provide an important clue to the history of the asteroid. We are proud to have CSA and our Canadian colleagues as members of the OSIRIS-REx team. They bring unique capabilities and expertise that significantly enhances the science return from the mission.